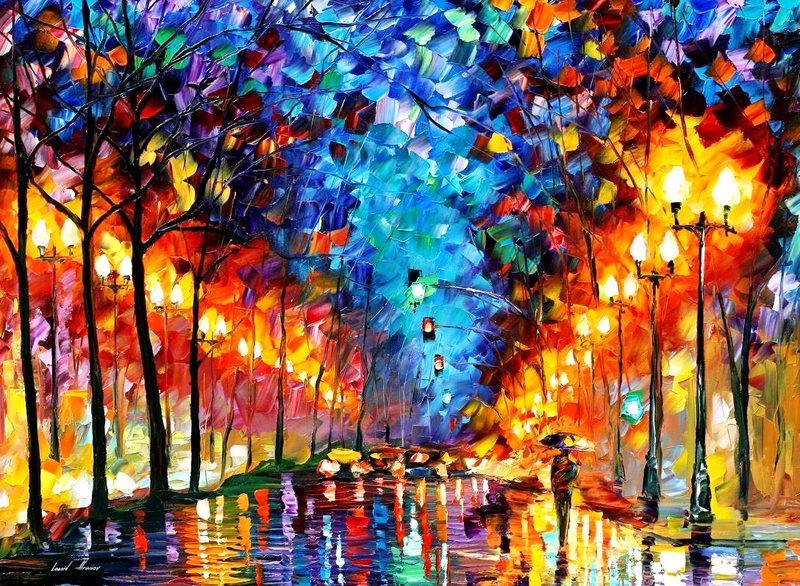 Leonid Afremov is a Russian-Israeli modern impressionistic artist. 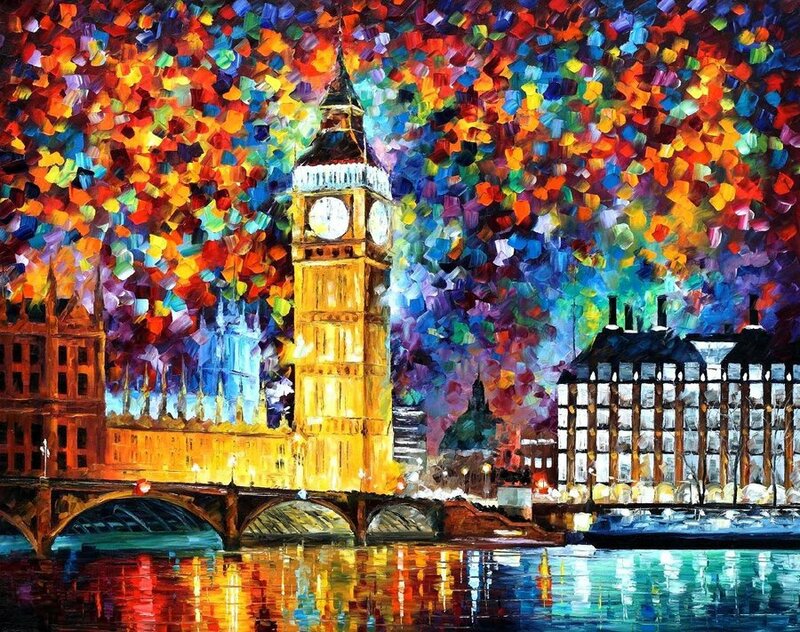 He works with mainly palette knife and oils. He developed a unique style of painting so as not to be confused with other artist. His works does not have any hidden messages, however, the works are his personal memories and emotions. He wants the viewers to feel the same way as he does when they see the paintings and also want them to see the world as the way he sees it. His works are usually on the positive side. I like his works because he did not have any hidden messages. When I look at the pictures, it evokes a sense of happiness as the colours are very bright and I feel that he had good memories about the places he visited. I like how his works are rather influencial as he only wants the viewers to have a positive feeling. I also liked the colours he used as they are very bright. The style of paiting is also different from other painters.